In this section, you can discover all of the alloy rims with winter tyres that 123tyres.co.uk has in store for you. 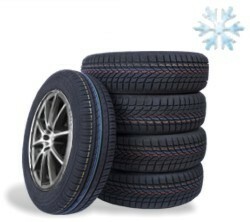 If you are interested in season tyres or cold weather tyres instead, we also stock these wheel and tyre packages for you. Please know that these alloy wheels must be fitted to your car, which is why you should select your tyre and rim package by vehicle brand. Whether you drive an Alfa Romeo, an Audi or a Seat really does not matter, since we try to bring you as many wheels and rims as possible. This even means summer and 4x4 tyres. Keep in mind that we also stock a number of budget-friendly options. If you are more interested in name brand tyres, you can count on a large selection by Dunlop, Pirelli, Michelin, Bridgestone and many more. It is up to you to choose the desired tyre type and manufacturer as you are looking for complete wheels.